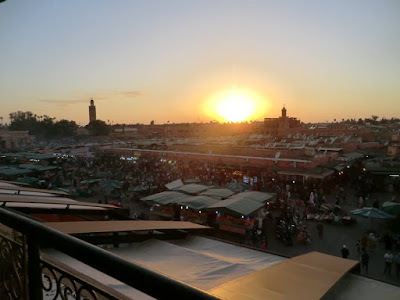 I headed off to Morocco for twelve days on vacation. It had been a long time since I'd taken one. I do, of course, travel a fair bit for my work, and since my work is usually related to my creative output, this travel never really feels like work in the sense that most people understand the term. Nevertheless, I'd kind of fallen out of the habit of just flying off somewhere, on my own dime, and traveling around. Back in the days before graduate school, however, I used to take vacations all the time. 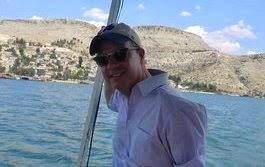 When I lived in Turkey in the 90s, I would take long trips every summer for seven or eight weeks, usually in August and September, in addition to taking shorter holidays at other times of the year. The longer trips, in particular, stand out in my memory. In 1993, I visited Russia for the first time, and in 1994 I spent eight weeks backpacking through Bulgaria, Romania, Ukraine, and Moldova. In 1995 I traveled overland through Turkey, Syria, Jordan, and Israel before flying back to Istanbul via Tel Aviv, and in 1996 and 1997 I undertook circuitous voyages through the Balkans. In 1998 I flew to Moscow and traveled overland back to Istanbul, and in 1999 I took a five-month trip through India, Thailand, Laos, Vietnam, and China. But once I started graduate school in 1999, my travels became more or less entirely school or work-related. I would travel for conferences or for research. Not that this was so bad. Rather, the nature of my foreign experiences simply changed. Instead of leaving my base in Istanbul and backpacking around in, say, eastern Europe or the Middle East during the summer, now I would fly somewhere, rent an apartment, and live somewhere for several months. In this way I spent a year and a half in Kazan, six weeks in the Crimea, five months in Baku, five months in Ufa, four months in Tbilisi, seven months in St. Petersburg, in addition to visiting a bunch of other places. After getting tenure, though, I decided it was time to try to go back to my older practices and take a proper vacation--one that didn't involve any research or conference activity. In the summer of 2014, I traveled around Turkey for a month, and in 2015 I spent a month each in Turkey and Russia. These trips were, frankly, liberating experiences for me. For fifteen years--starting with the beginning of my MA and ending with tenure--I'd always felt beholden to my career. Traveling for any other reason felt like a waste of time. It was the same with reading, unfortunately. When I was in my 20s, I read voraciously, thanks mainly to the English-language library that I frequented at the American consulate in Istanbul. 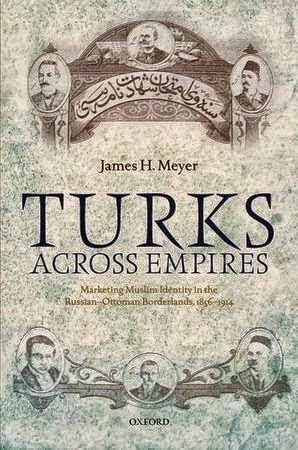 But once I started graduate school, I began to feel that if I had the energy to read, say, fiction, then I should have the energy to read another tome on Ottoman history. This was stupid reasoning, of course, and I did occasionally re-read books that I had first encountered in my years before graduate school as well as go through a lot of new non-fiction, but I did very little with respect to discovering new fiction during this time. It was a shame. In any case, I now feel liberated to both read and travel freely. I've become a lot more eclectic in my reading habits over the past few years, and this year I've been reading one novel after another by Haruki Murakami. I can't say that I love his works--mainly, they were available at English-language bookstores in Moscow. But I liked the idea of reading several books in a row by a single author--it had been a while since I'd done that. And as for taking a vacation, my number one priority was to go someplace warm and sunny. I realize how shallow that sounds, but seriously: I'd barely seen sunlight since October. Cold weather I'm used to--I've spent much of my life living in freezing cold places, and Montana is certainly not warm in the winter. But in Bozeman we get 300 days of sun per year, and even in winter most days are bright and beautiful with bluebird, often cloudless, skies. Moscow, by contrast, was grey and overcast for most of the winter, except for when the temperatures dropped to obscenely low levels in mid-January. As much as I've loved being in Moscow for the past half-year, I was ready for a change of scenery. At the same time, however, I didn't just want to head to some dumb beach. I wanted to go someplace interesting. I thought a little bit about Vietnam--I went there in 1999, and loved it. But Vietnam seemed far, and frankly I wanted to go someplace I'd never been to before. 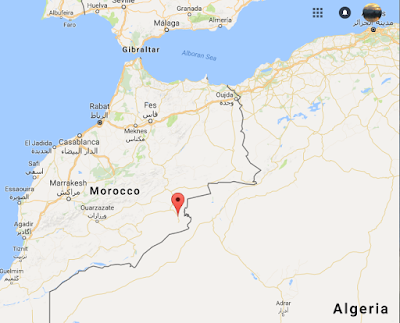 Ethiopia was a possibility, but then it occurred to me: why not Morocco? I looked into tickets, found out I wouldn't need a visa, and booked my tickets in February. Two weeks in north Africa. 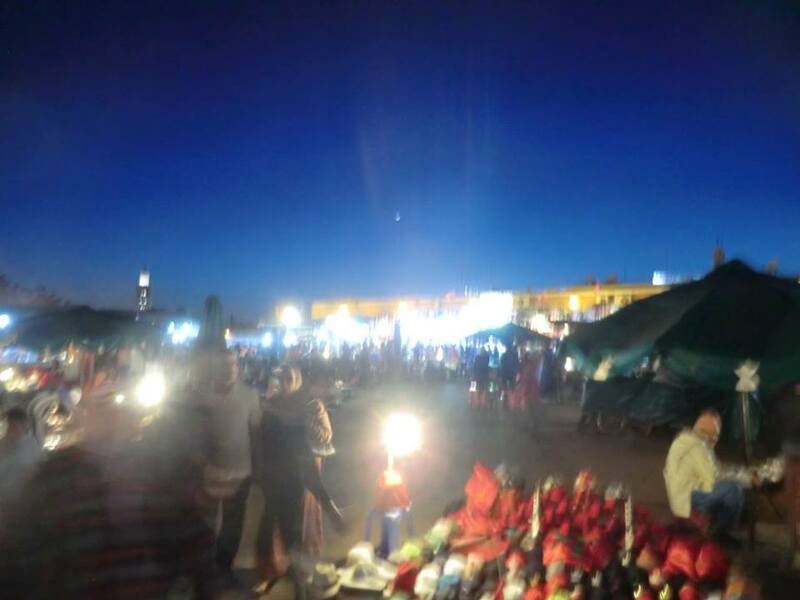 My first stop was Marrakech. I booked a room in a small riad in the medina, or old city. 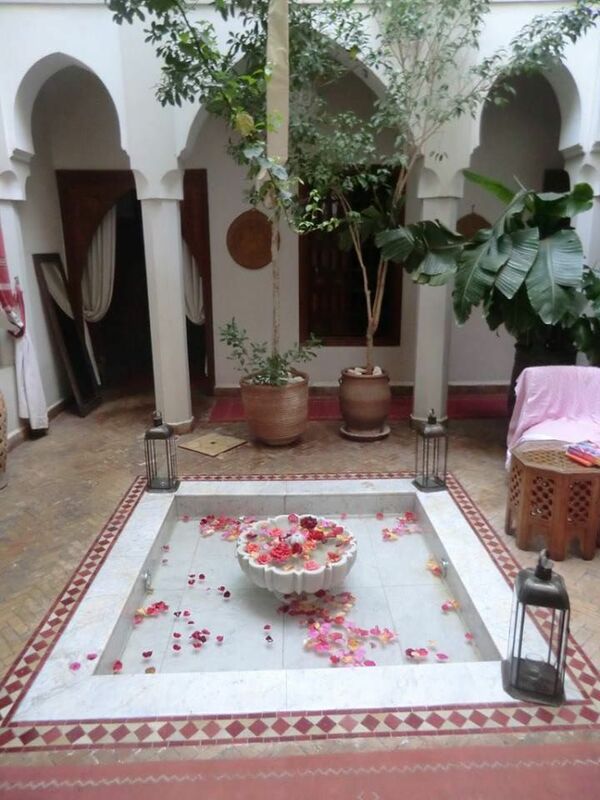 A riad is a traditional dwelling with a courtyard, the sort of place that an extended family might inhabit. There's usually a little fountain in the middle. Today, a lot of these places have been converted into guesthouses. 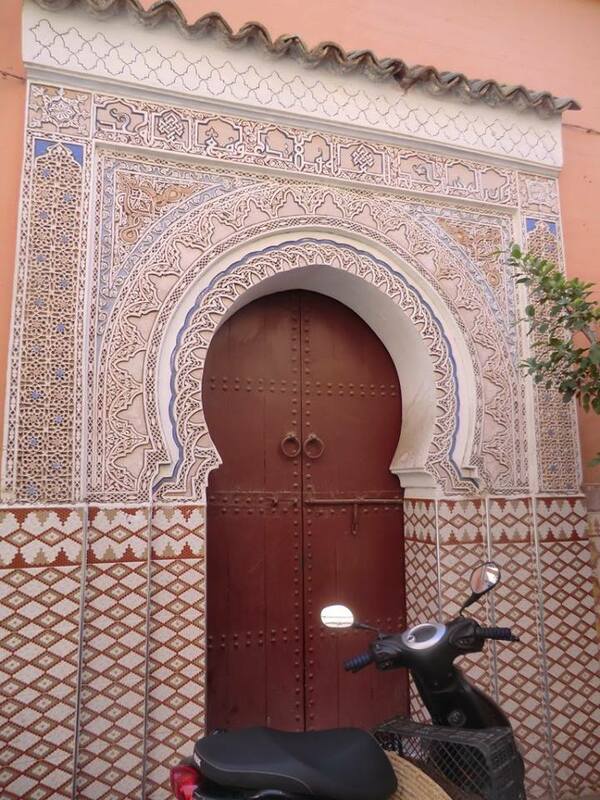 The place where I stayed, the Riad Anais, was right in the heart of the Marrakech medina. 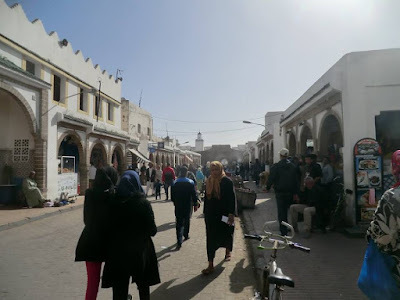 The medina is basically an extended marketplace with small streets leading off from it, but despite my proximity to the noise of the market my guesthouse was quiet and tranquil. The place that made the biggest impression upon me in Marrakech was the Jemaa al fina. 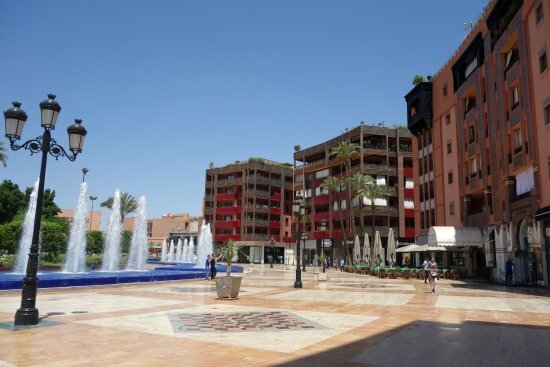 This is a large square just outside the walls of the medina where all sorts of activity takes place at night. I've traveled to a lot of countries, but this place really blew me away. At night the square is filled with musicians and food stalls, but walking around I also saw contortionists, people sitting behind desks providing medical advice (complete with large medical books and the sort of dummy showing off a human's internal organs of the sort we used to have in biology class), comedy acts, snake charmers, puppet shows, and all sorts of popular street theater. No matter what else I did, I was always drawn back to this place at the end of every day. Every night it seemed like a thousand different stories were unfolding in front of my eyes. For my last night in town I put on my nice duds and headed to Gueliz, the fancy modern downtown area of Marrakech. It was obviously a pretty big contrast in comparison to the medina. 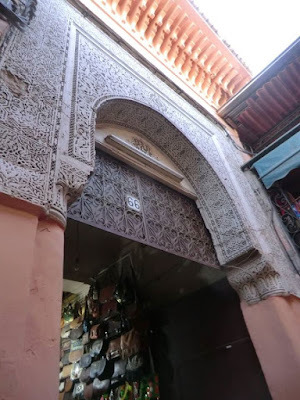 The medina was cool, after all, and to my tourist's eyes represented, of course, the "authentic" Morocco. But of course the wild scene in the medina--and especially on the Jemaa al fina, has nothing to do with most people's lives in Marrakech. But what about the fancy restaurant I went to in Gueliz? For how many people is that the real Marrakech? Ultimately, what I saw, of course, were just tiny slivers of life, the sort of places that lend themselves out to either touristic consumption or that of local elites. That being said, I had a great time. I posted an album of the pictures in the lounge. 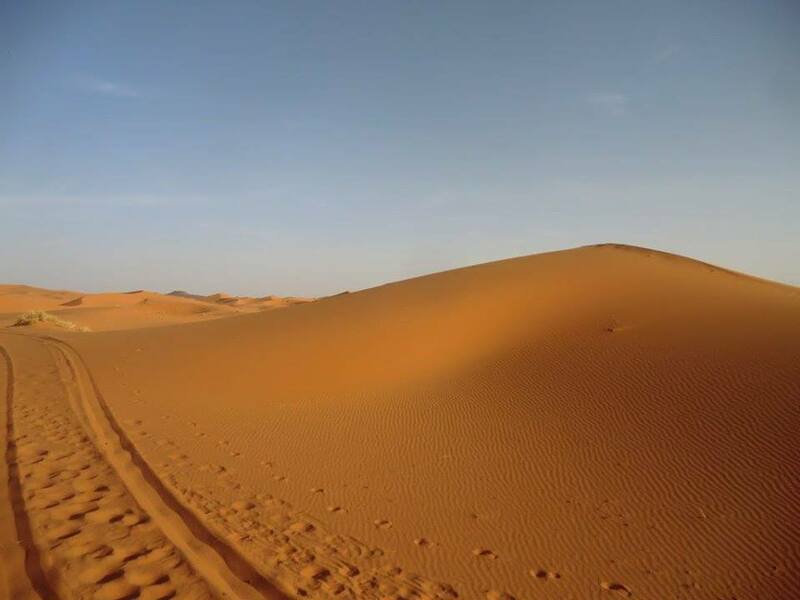 From Marrakech I went on a three-day tour that took me to the Sahara desert. This was probably the highlight of my trip. 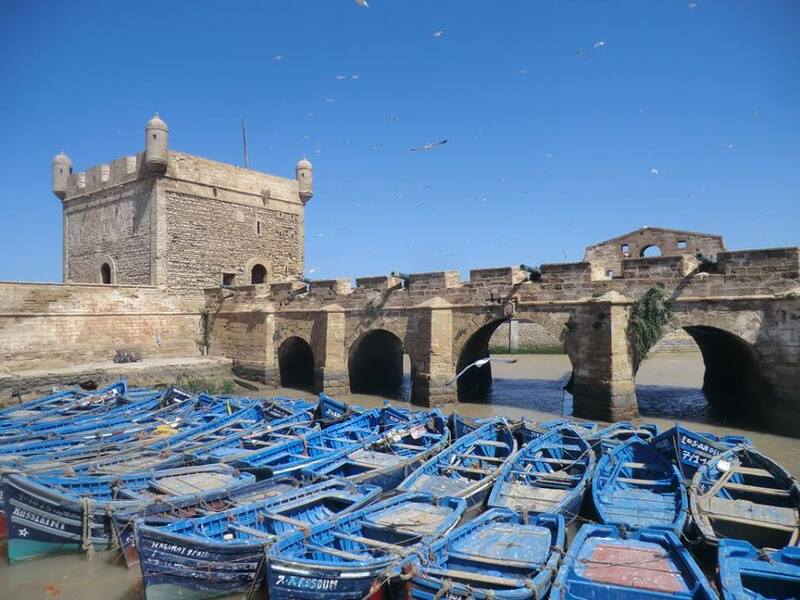 Indeed, looking through my guidebook in the weeks before my trip, I saw dozens of places in Morocco that I wanted to visit. But rather than run myself ragged trying to see everything, I decided to limit myself to four places. 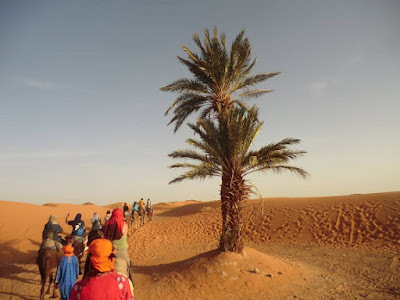 The desert trip, which was organized out of Marrakech but which took me to the far east of the country, up to the border with Algeria, was ultimately what determined the rest of my itinerary. 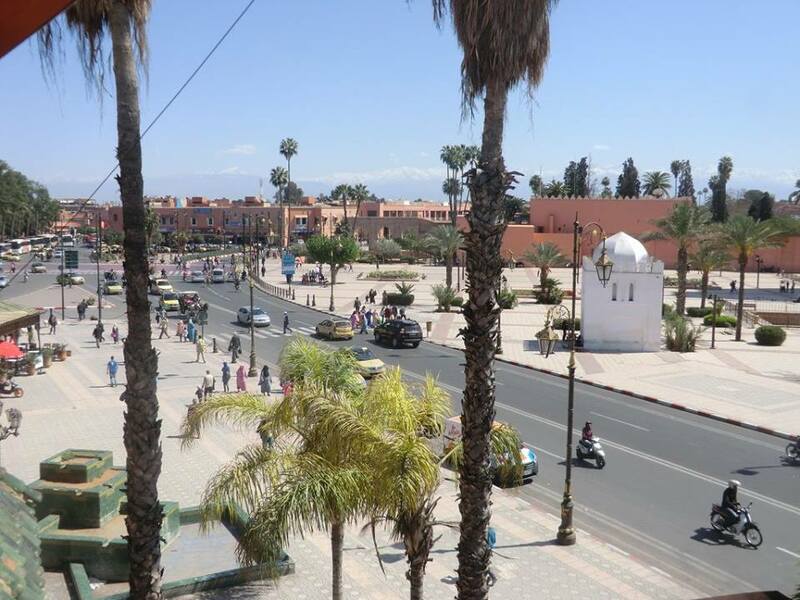 Working from there, I figured I'd spend my time in Morocco in the central part of the country. It's actually about a ten-hour drive from Marrakech to the desert camp in Merzouga. So, the trip that I took makes a number of stops, and the first night is spent in a hotel en route, the second night is in the desert, and the third night you get back to Marrakech in the late evening. In between are several stops at touristy little villages and forts along the way, which I had to admit were pretty fun to see. The drive out to the Sahara was interesting for a number of reasons. 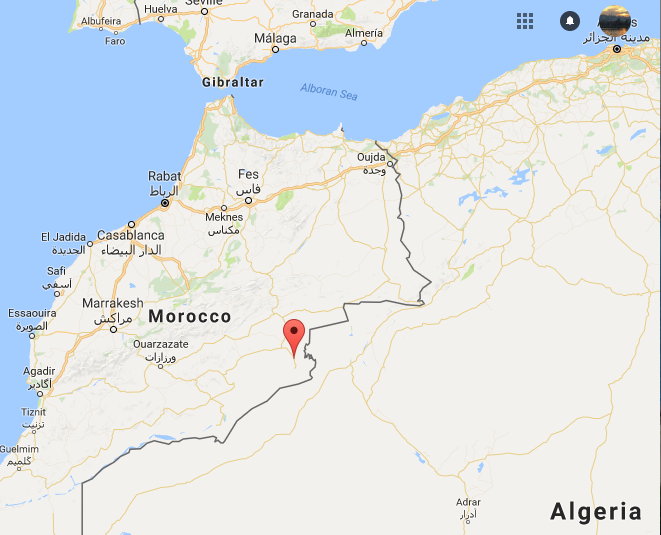 There were eleven of us in the minibus out of Marrakech--in addition to myself there were three American women, a woman from Hong Kong, two Spanish guys, a college student from South Korea, three women from Morocco, and a young woman from Germany. They were a fun group of people, and we all got along pretty well during the trip. In particular, I talked a lot with one of the Spanish dudes, one of the American women, and a young Moroccan woman who dreams of becoming a tennis umpire. Anyway, the whole group was pretty good company. We gelled nicely as a group. 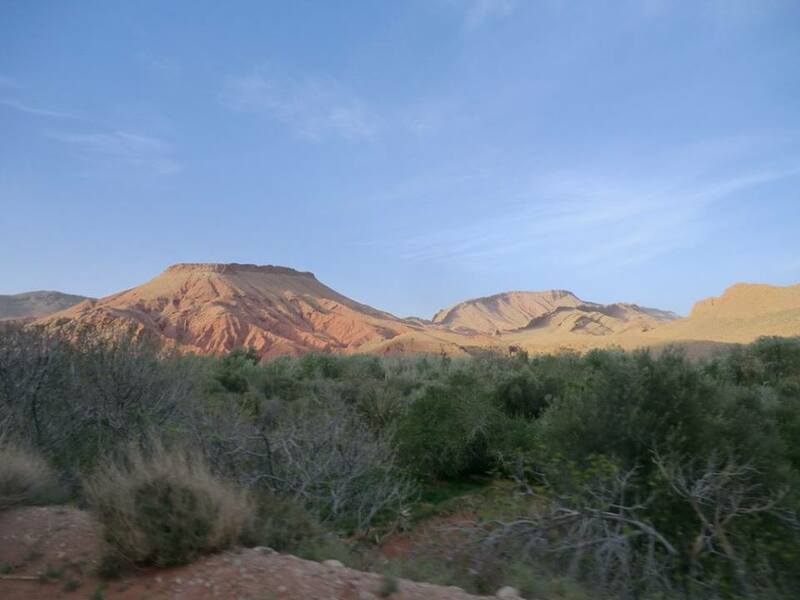 The scenery between Marrakesh and the desert was spectacular. 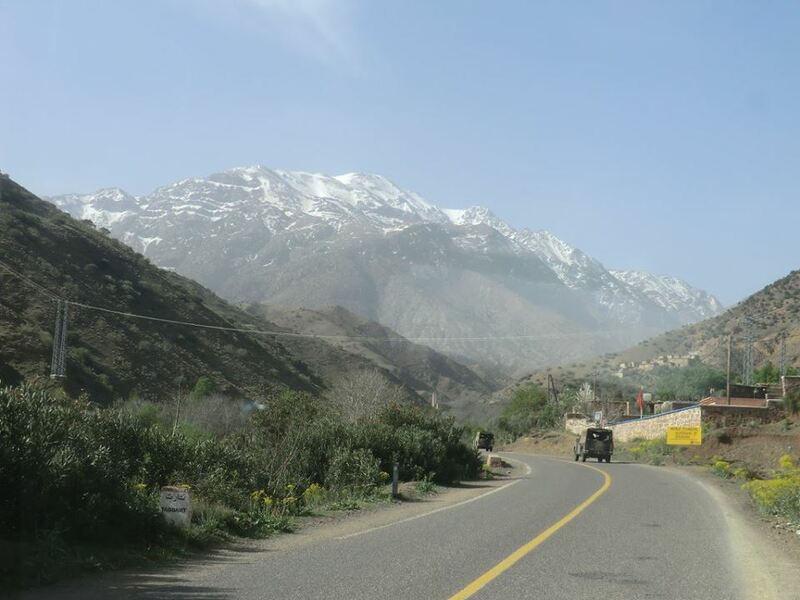 First, our bus drove through the Atlas mountains that run along the south and west of Marrakech. 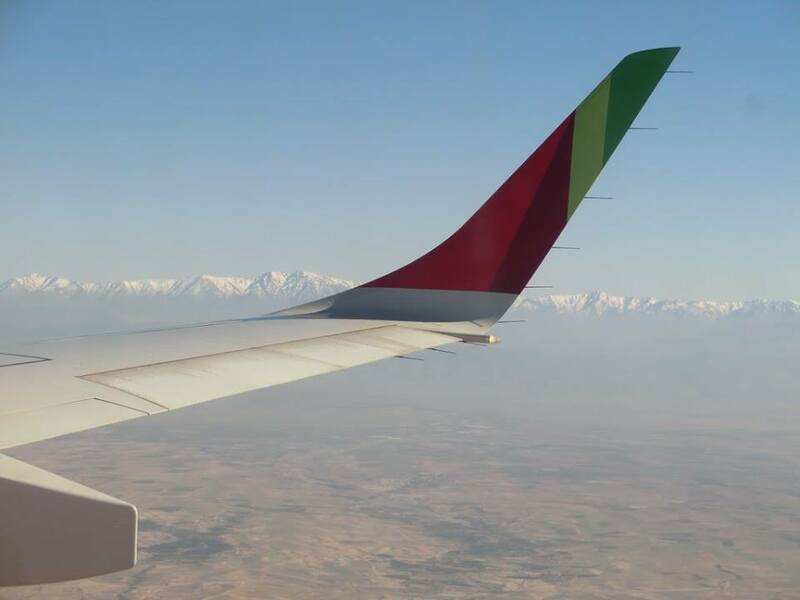 Going past these snow-capped peaks was quite a change to the warm temperatures of Marrakech, where it was in the low 80s in the mid-afternoon. After stopping by an eleventh-century fortress for some sight-seeing, we ended up spending the night in a mountainous area that's famous for its deep gorges. Elsewhere, the terrain was rocky and red, and looked a bit like Arizona or southern Utah. 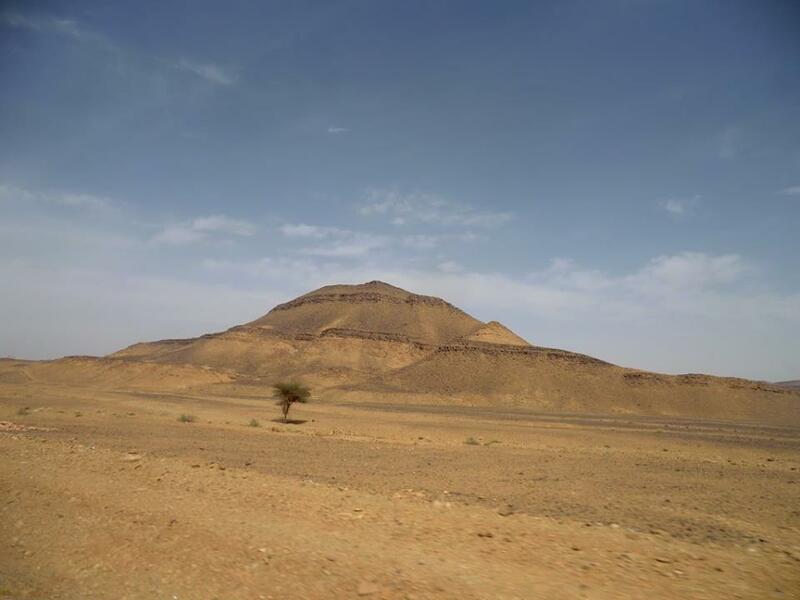 I was really impressed--the scenery was absolutely stunning, and we hadn't even arrived at the desert yet. On the second day of our trip, we visited another village--with still more sight-seeing and souvenir shopping--before getting to the edge of the Sahara at around 5 pm. The minibus driver stayed with our bags in the base village while we took smaller day-packs with us for the night in the desert. They took us out to the desert camp on camels. The camel ride lasted about an hour before we came to our camp--a collection of tents with a large common area, where we were given dinner. After dinner, everyone went out to look at the stars. I'd seen some pretty starry nights in my time, but even here on the very edge of the desert the skies were perhaps the clearest I'd ever seen at night. I'll admit it: the desert trip felt at times like a rather gaudy and touristy experience. But I didn't care, it was fun. While the camel ride made me feel a little silly--like a child on a pony--this is how they organize things. What was I supposed to do, demand a car? And while I was surrounded by dozens of other tourists from, mainly, Europe and China, I was in the Sahara desert for crying out loud! Surrounded by sand dunes. I frankly couldn't believe it. Moscow, my daily metro rides, the archives where I work, and my life in Russia were all far away. 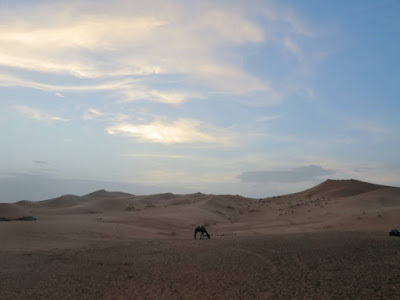 I spent a while running up and down sand hills with the two Spanish dudes from my minibus--we had been put in the same tent--but then I wandered off by myself for a while to look at the stars. A couple of times a minute I could see a shooting star. I though briefly about the last time I'd noticed the stars in such a jarring way--the night of the 1999 earthquake in Istanbul, when all the electricity went out and I saw stars in the city for the first time--before shifting my thoughts elsewhere. It seemed strange to imagine that I'd been in Moscow, sitting in an archive, trudging through the metro, only a few evenings earlier. I turned in early--sometime before midnight--and fell asleep within minutes of putting my head on the pillow. At five in the morning, we were awakened. It was really cold--probably in the 40s. Fortunately, I had a really light winter coat that I often wear during the winter in Bozeman. We took the camels back to the base camp with the sun rising behind us. 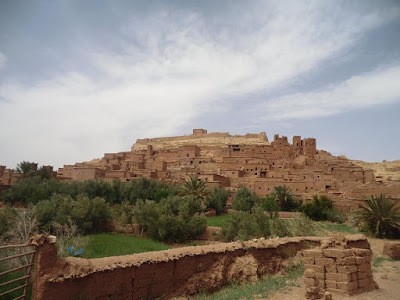 Then it was back into the minibus, and another ten hours in the car before we made it back to Marrakech. From there, I'd be traveling further west to the Atlantic. I made an album of the Sahara trip for the lounge, which can be viewed here. After the Sahara trip, I was definitely ready to just veg out someplace for a while. I was tired. Even before leaving Russia, I had been exhausted--I'd been working very hard without stop, dating back to my last month in Bozeman in August. 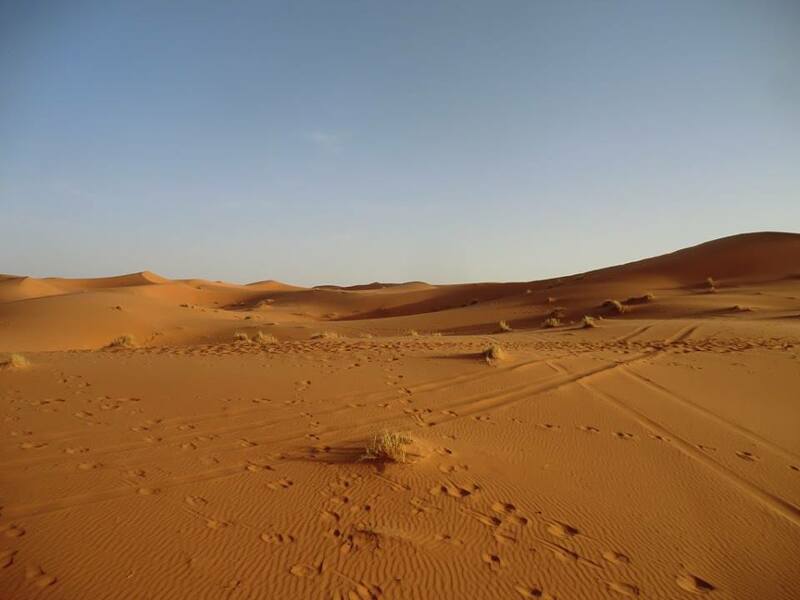 And now, on my vacation, I'd spent my time in Marrakech walking for hours each day, before signing up for this three-day endurance contest into the Sahara. I took a bus out to Essaouira, a small city located on the Atlantic Ocean. 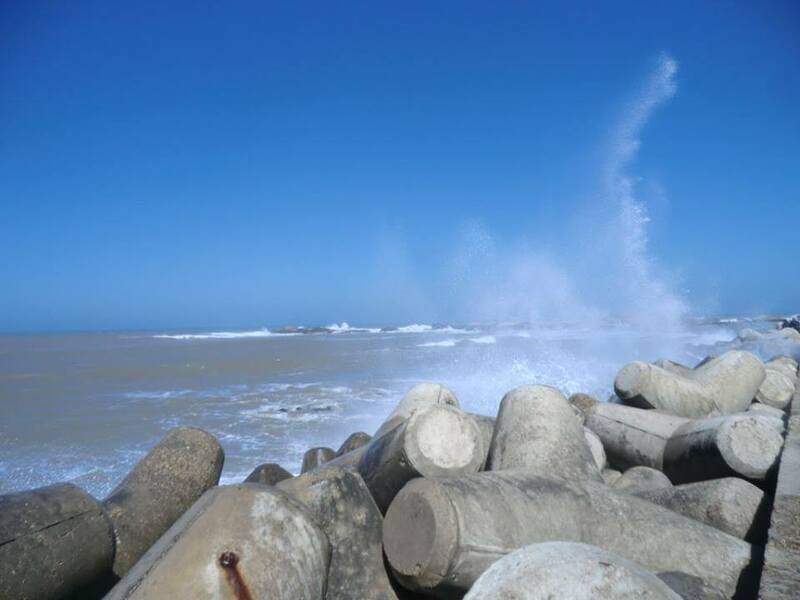 Essaouira is a very windy place, so despite its proximity to the water it's not really a place for swimming. I did, however, take long walks on the beach and enjoyed the seafood. But mainly, Essaouira has really impressive architecture. Again, I stayed in the medina, amid surroundings that struck me as...I don't know how to describe them, other than they were just very different from my neighborhood in Moscow, that's for sure. I spent three nights in town. The first night, I barely did anything. All of the running around since I'd arrived in Morocco a week earlier had finally caught up with me. I had a glass of wine--the first drink I'd had since my night at the fancy restaurant in Gueliz--and fell asleep before 11 pm, waking up at around 8 feeling totally refreshed. The next two days I just wandered around town, and up and down the beach, and read. All year long I've been reading the novels of Haruki Murakami--mainly because the English-language bookstores in Moscow all seem to sell several of his works, but also because I like having the chance to read several books in a row by the same author--so I plowed through a significant portion of The Wind-up Bird Chronicles. 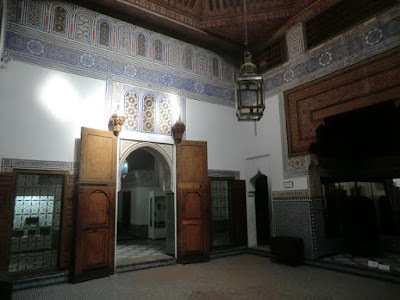 I also jotted down some new ideas for the book I'm working on now, the one I've been researching in Moscow, and about which I'd hardly given a thought since arriving in Morocco. The break had done me some good, I think. 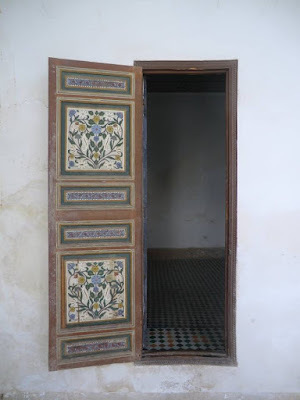 I posted an album of my trip to Essaouira--you can see it here. 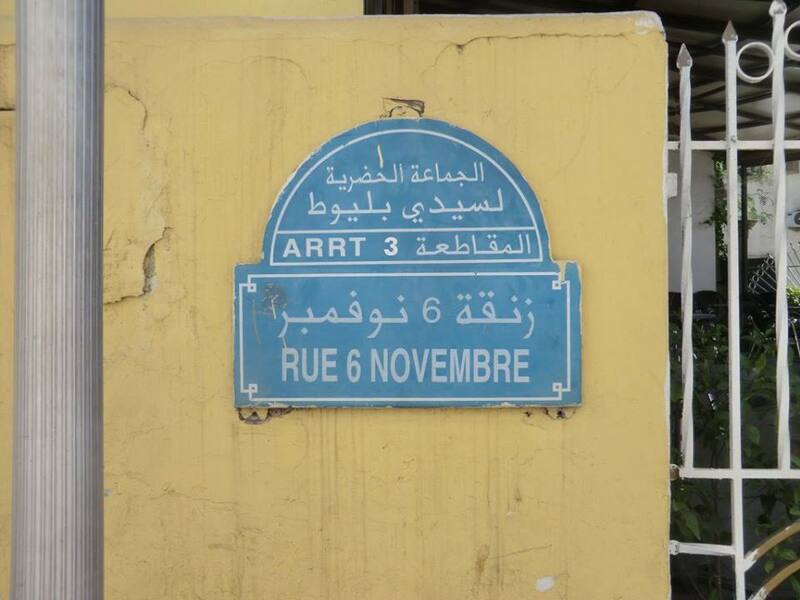 From Essaouria, I took a bus up the coast to Casablanca, from which I would be flying back to Moscow. The trip was long--about seven hours--but really gorgeous. For most of the time, we were on a road that ran right next to the ocean, and for much of the way all we say were completely undeveloped beaches and giant waves crashing into them. 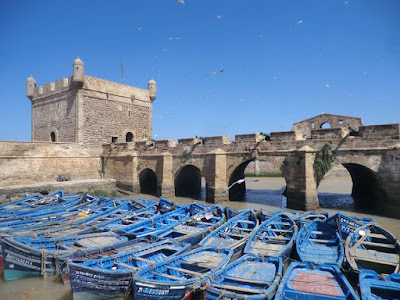 From the Atlas mountains to the Sahara and now to the Atlantic coastline, I was again really impressed by the topographical diversity and sheer beauty of what I'd seen in Morocco. 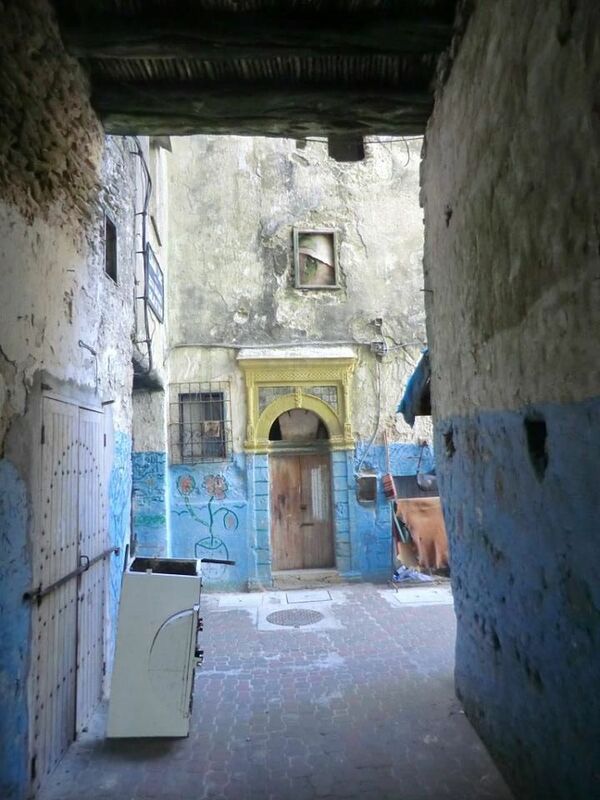 The guidebook I was using had warned me that there wasn't much to see in Casablanca. Unlike Marrakech or numerous other places in Morocco (like Fez or Tangiers, for example) there isn't an impressive medina to get lost in. 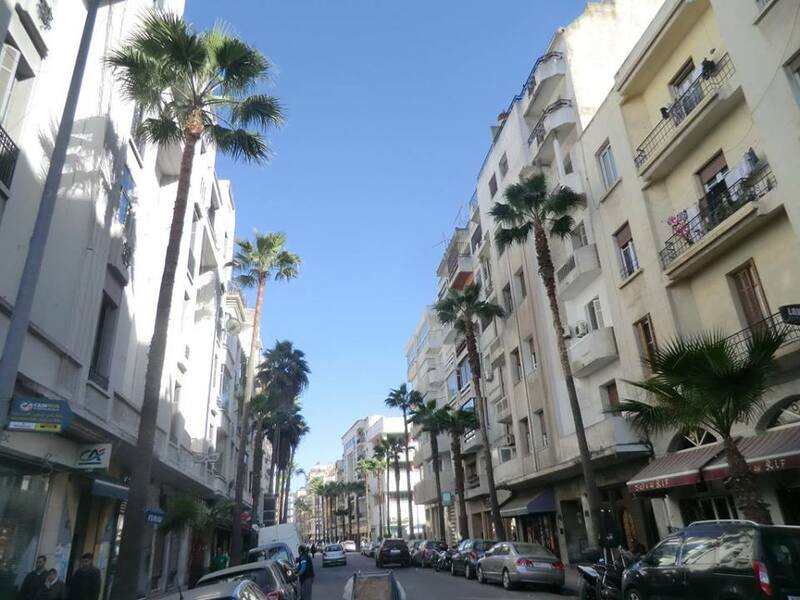 The medina in Casablanca is quite small, and the city doesn't have a lot of attractions. That being said, I was really impressed by the twentieth-century architecture of the city, both from the French colonial period to the early decades of independence. There's a lot going on, the people are really nice, and because there are so few tourists it's actually a lot easier to meet people and have a conversation with people--foreigners in Casablanca tend to be either resident ex-pats or else visiting businessmen, so it's a rather different scene from the tourism-heavy locales that I'd been spending most of my time in thus far. I spent three nights in Casablanca altogether. Mainly, my time involved walking around the city and popping into places for coffee or a meal. I met a lot of people, and spoke a lot of French as well as a little bit of the classical Arabic that I'd studied in graduate school (the latter mainly in order to entertain my interlocutors). 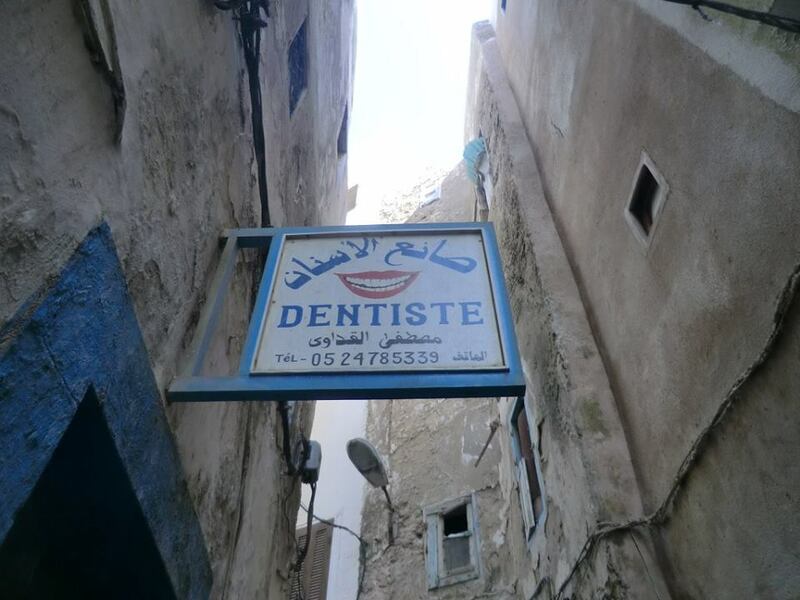 I'm not sure, but now that I think of it maybe Casablanca was my favorite stop. 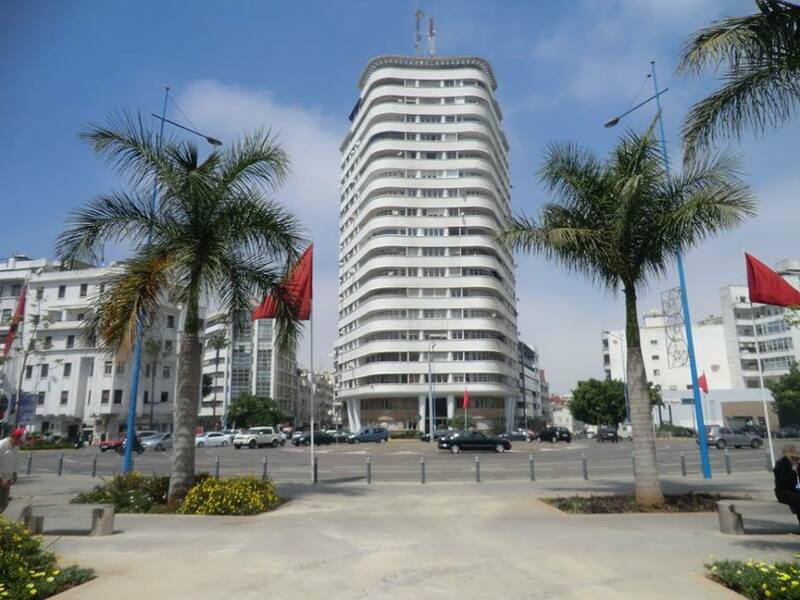 I mean, the desert was pretty amazing to see, but Casablanca was cool in a way that I hadn't expected. In any case, I've posted an album of shots from Casablanca here. 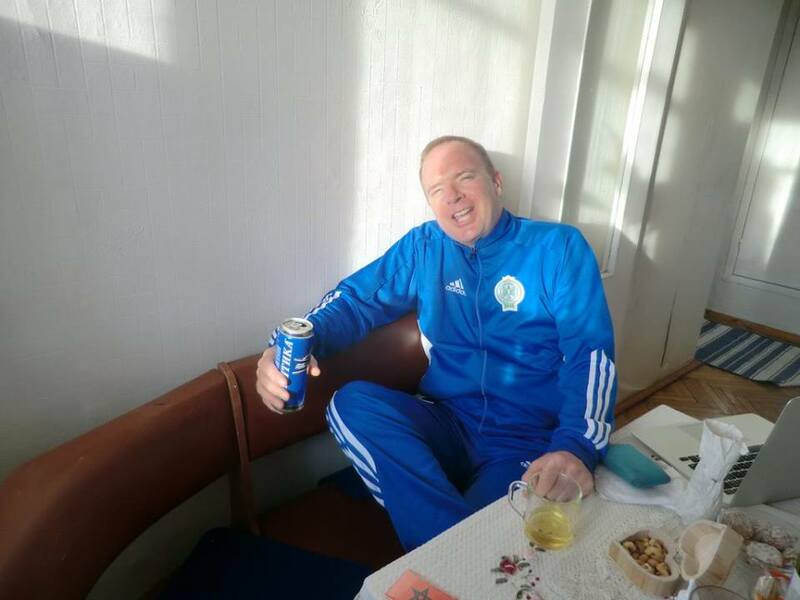 And now I'm back in Russia. I've pretty much finished up my work in Moscow, but there are always more details that seem worth chasing down for as long as I'm here. Soon enough, I'll be on the move again. Are you a Turk across empires? Order a copy today, then get another one for your libarary. More commentary, photos, and links can be found at the Borderlands Lounge.